JinkoSolar smashes solar cost record with a bid of 2.42c/kWh in an Abu Dhabi tender. But it’s not just the cost of solar PV that is falling dramatically, other technologies such as offshore wind and solar towers and storage are also coming down quickly, a big boost for climate action. The price of solar PV continues to fall. On Monday, a new record low of US2.42c/kWh ($A0.032c/kWh) was set in a tender for a large solar park in Abu Dhabi, not by an industry outlier but but by the biggest manufacturer of solar modules in the world, JinkoSolar. The tender handsomely beats the previous record of US2.91c/kW set just last month in Chile, and previous sub-3c/kWh markers set in Dubai in an earlier tender. And it continues the stunning cost reductions across renewable energy technologies, with new records set in recent months for on-shore and off-shore wind and solar thermal and storage in particular. And, it seems, even this bid could be beaten, with the local National newspaper reporting that a local consortium, possibly Masdar Energy, submitting an offer of just US2.3c/kWh if the local authority agrees to write a contract for a solar farm of more than 1.1GW. It was only 18 months ago that Saudia Arabia-based ACWA Power stunned the solar world, and the broader energy industry, with a bid of less than 6c/kWh in a Abu Dhabi tender. That price was deemed “impossible” by many doubters, but that plant is being built – at even lower cost after it achieved cheaper than expected finance – and it has been bettered numerous times in the US, the Middle East, and South America. Paddy Padmanathan, the CEO of ACWA Power, says prices can still fall: “We haven’t reached the bottom yet, but we’re close,” he told The National. The fall in the cost of renewable energy technologies – 80 per cent in five years for solar and 60 per cent for wind – was cited as a major reason why agreement was reached in Paris last year for a landmark and an ambitious climate target, or well under 2°C and possibly 1.5°C. Now prices have fallen dramatically again. PV Magazine described the latest solar bid as “astonishing”. It said it was entered into a tender conducted by the Abu Dhabi Electricity and Water Authority’s (ADWEA) for a solar park of at least 350MW. The price was offered by a consortium of JinkoSolar and Japanese industrial giant Marubeni. PV Magazine reported that the plant is to be built in the town of Swaihan northwest of Abu Dhabi. A new settlement is being built in the region and it is need of quick, affordable electricity. “Understanding that solar could be the cheapest option, ADWEA invited bids for a 350MW, but allowed bidders to increase the size of the development,” the website says. There were six bids in all, the National said, including the proposed offer of US2.3c/kWh. “This is real, and the rate of change is accelerating, not slowing,” says Tim Buckley, the director of energy finance studies at IEEFA in Sydney. Frank Wouters, the former dir­ector of Masdar Clean Energy, said that the record low bids were being helped by cheap fin­ancing, but the actual cost of solar cells were also falling. “On the one hand I think the low cost of capital plays an important role and that will not remain so low forever, but on the other hand we’re still learning how to further reduce the cost of solar cells and other components as well as operation and maintenance cost,” he told the National. Solar is not the only renewable energy technology to show stunning cost reductions in the past 18 months. That beats the previous record set by Denmark’s Dong Energy, which in won a contract for a project in the Netherlands at €72.70/MWh in July ($US80/MWh – or US8c/kWh) – a price that then stunned the industry because it was half the prices awarded in UK wind farm tenders in 2015. In fact, the price stunned even Dong Energy, which in 2012 had predicted that offshore wind costs would not fall below €100/MWh until 2020. Now, even their price has been beaten. Prices for onshore wind are also setting new benchmarks, with a tender in Morocco earlier this year achieving prices of around $US25/MWh as part of a large tender for 850MW of wind capacity. The average price was $US30/MWh. The cost of solar thermal and storage is also falling, with US company SolarReserve bidding US6.3c-6.5c/kWh in a tender in Chile, which has excellent solar resources. This is less than half the price of the company’s first installation, the 110MW Crescent Dunes facility that is now producing and storing electricity in Nevada. Meanwhile, IEEFA’s Buckley says these massive cost reductions spell trouble for the fossil fuel industry and the growing risk of stranded assets. Perhaps the next chapter in the renewable energy story has been reached, that of how to effectively add storage into our grids. Ultimately, when a fossil fuel generator falls over, and the community is clear renewable energy has kept the grid running, then RE/storage will be accepted and supported by governments, regulators and networks. Pumped hydro storage (PHS) has to be part of the solution for grid stability and peaking capacity. Japan’s grid already has a reported 25GW of pumped hydro. China is reported to already have passed this capacity of pumped hydro to now be #1 globally, with plans to double this again. At the same time China is looking to ramp up CSP with storage over the next decade. And as Giles has regularly reported, Genex Power is building a big ‘new’ pumped hydro facility with solar in Queensland, so thanks to ARENA Australia is not falling behind on a proven technology we pioneered decades ago. Plenty of scope for more PHS. Looks like a brilliant project and fantastic ARENA have given their support. Looks more environmentally friendly than replacing batteries every decade or so. Hope there are many suitable sites around. Another factor is Genex is in Queensland and there appears an immediate situation happening due to an absence of storage in SA. I hope ARENA isn’t caught up in an intellectual construct of their perceived role in merely building technology and has an eye on the most important happenings in the grid. It would be a great loss of opportunity if SA goes back to old technology to solve its problems. No SA as a shining example RE works to the general public means the whole country suffers a setback with renewable energy losing ground in the public eye and in the political arena. So is it that their hands are tied? ARENA’s projects have been described as a “tranche” and another word for a tranche is a monoculture, which is far from strategic. Ok, so it’s up to private investment and that’s what Lyon PV/storage is doing. Technology will of course win. The last tranche of ARENA’s projects moved important environmental goals forward however if they wish to be at the forefront of a genuine paradigm shift, they need now focus upon RE/storage. Then ARENA will be more likely to have mainstream credibility and acceptance, as they will be implementing a complete solution. If ARENA fail to do this, they are merely a bunch of greenies and not innovative leaders in anything, and nor were they by adding cheap PV to the grid. Before commenting you may want to do some research as ARENA has been supporting energy storage projects since 2013 and has a wide range of renewable energy and enabling technologies in its portfolio. The Lyon PV/storage project wasn’t supported for SA. So there’s a gap between the “enabling technologies” and what’s being implemented. Where it now gets interesting is – can the grid compete with off-grid systems? Not long ago, that question would have sounded ridiculous. The utilities, with all those poles, wires, transformers, coal and gas mines, turbines, boilers, production staff, admin staff, line maintenance staff – they have real overheads. Meanwhile, the guy with his solar roof and the latest $3K 50kWh powerwall (casting forward a bit), has none. If it’s a close thing now, in a few years it’ll be no contest. That might all likely be true and the traction point is what type of PV systems can most easily achieve a 10 year payback now and for whom? https://uploads.disquscdn.com/images/5ab6b06f0fd464ba95e53aae502357bbff854d45c6c00a6259270029724a627e.jpg It would be great if Tesla designed a cheaper compliment to the Powerwall – a non-liquid cooled cabinet design for indoors, preferably with battery modules that can be slipped in and out like a cheap small version of the Powerpack. 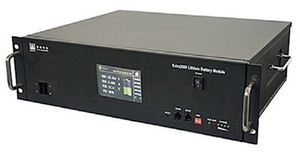 Here is a LiFePO4 battery module by Pylon Technology Co. for Cost per usable kWh = US$617. The Powerwall is a perfect compliment for installs where there is unavoidably high temperatures and limited space. It would also be great to see Tesla bid into utility-scale storage with the Powerpack, to solve SA’s spikes in peak demand and hassles with gas generators. I have a funny feeling there is more to this story than just the headline price… what else is part of the deal? It seems unrealistically low. Unless the manufacturer is ‘buying’ work to keep its factory going..? I’m not working in the field tho it’s got a 1 year warrantee. Redflow and Powerwall have 10 years with conditions on number of cycles. Looks a bit risky. Manufacturers may be unaware how long their product will last and depends on quality of manufacture of the batteries and the BMS managing it etc. We’re all getting experimented on like a new version of Windows in a PC. We don’t know until after it’s purchased and we’re looking back. Meanwhile the COALition government has just funded another CCS study that will investigate ways of reducing the cost so that Latrobe Valley brown coal might continue to be used for power generation. Are you f*$#ing kidding me?! A little ironic that fossil fuel rich countries like the UAE invest in renewables and the UK politicians who like to think they’re very sensible buy into overpriced nuclear. This article talks about the falling costs of renewables and insinuates that renewables are able to replace other forms of traditional baseload power generation (Tim Buckleys regurgitated quote at the end). Any comment on the technology advancements in battery storage efficiency that is required to allow this to occur? After all, the sun doesn’t shine all the time and the wind doesn’t blow all the time (or it blows too much or too little) and therefore the energy generated by sun and wind needs to be stored for future use.